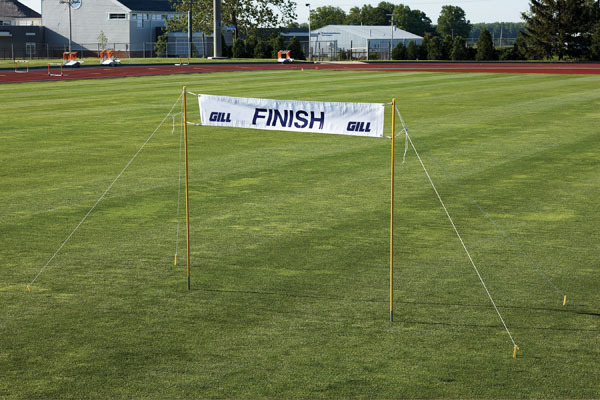 Heavy duty Vinyl banner attaches to fiberglass uprights. Width is adjustable from 6' to 12'. Clearance height is 7ft. Sets up in minutes.